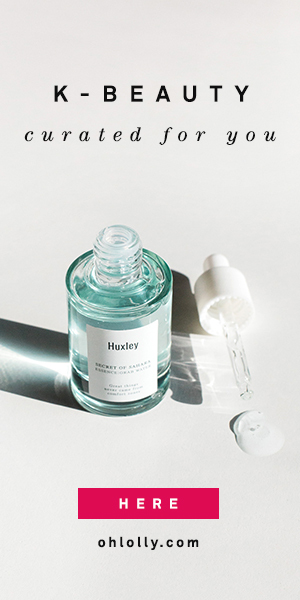 PHAs, or polyhydroxy acids, seem to be the next big ingredient on the beauty scene. This new generation of exfoliating acids are supposed to be more gentle, but just as effective, as the last generation of AHAs (glycolic acid being the most well-known AHA). I was thrilled to be able to test out Neostrata’s Bionic Face Serum, a PHA serum that contains 10% lactobionic acid. Because PHA’s are supposed to be less photosensitizing than AHAs, I was excited to see if this PHA serum could replace my AHA exfoliants during the summer. What Are PHAs (Polyhydroxy Acids)? I highly recommend this article from The Klog, which gives a succinct summary as to the benefits of PHAs. In short, PHAs are acids in the same family as AHAs, that exfoliate the surface of your skin. PHAs also help moisturize the skin, and act as antioxidants. The great thing is, because PHAs molecules are larger than AHAs, they don’t penetrate as deeply into the skin, decreasing the possibility of irritation. PHAs are great for people with sensitive skin who can’t tolerate AHAs well. I’ve used two PHA products before, the Cosrx PHA cream and the Make P:rem Peel Me Sleeping Pack, and I did experience some smoothing effects. However, I was excited to try PHA in a serum product. I like to keep active ingredients in the serum step, which allow me to target my skin concerns by layering serums. Neostrata is the company that has pioneered the use of PHA in cosmetic products, and most of the studies about PHA’s effectiveness have been done through the brand. There really aren’t that many options for PHAs in Western skincare besides Neostrata and its sister brand, Exuviance, but hopefully they will catch on here as they have in Asia. I really appreciate the short and simple ingredient list. This is truly a targeted serum full of hard-hitting ingredients and no fillers. In addition to the PHA, lactobionic acid, the Neostrata serum includes vitamins A, C, E, which all have potent benefits. This serum is not paraben-free, but I’m not particularly worried about it (see this article for why). The Neostrata Bionic Face Serum is a medium serum consistency that feels quite viscous. Although it has a good slip to it, it actually spreads out thicker than you’d think, and takes a little while to absorb. I gotta be honest, it’s quite sticky as it dries down. It does eventually absorb, but a slightly tacky feeling still remains on top of my skin even after it fully absorbs. Once I use another product on top, however, it feels fine. The Neostrata serum plays well with other serums and I’m able to apply several more products on top without feeling like I have a thick layer on my face, and without pilling. This serum has no scent which is great news for those sensitive to fragrance. I didn’t notice any of my pigmented brown spots lightening up, and I didn’t feel like the Neostrata serum exfoliated quite as aggressively as my 10% AHA. However, I experienced no irritation or dryness at all as a result of using this serum even using it twice a day. I definitely saw enough smoothing and glowing effects to make me continue using the Neostrata Bionic Face Serum as a consistent part of my routine. If you’re sensitive to AHAs, or want a gentle exfoliant that won’t make you sensitive to the sun, the Neostrata Bionic Face Serum is a great choice. It is definitely on the higher-end at $78, but you’re getting a serum that’s full of active, effective ingredients, not just fillers. The Neostrata serum gently smooths skin and gives it a healthy glow. You can also buy it from authorized retailers such as Dermstore.com (which sometimes has great 20% off sales). Have you tried PHAs yet? Do they intrigue you with their promises of irritation-free exfoliation? I received this product free to review through Brandbacker. As always, this review constitutes my honest opinion. Amazing pictures Camilla always, love how you introduce me to new products all the time. This seems like a great fit for any skincare enthusiasts. Aw thank you so much for your kind words! This is a great option for sensitive skin =). Yes, yes, yes to Neostrata. I credit this brand for helping me so much at the beginning of my acne years and I still use them. I hear ya! I do feel that since my skin can tolerate AHAs fine, they’re so much more effective. But I can definitely see myself turning to PHAs if my skin gets drier and more sensitive!